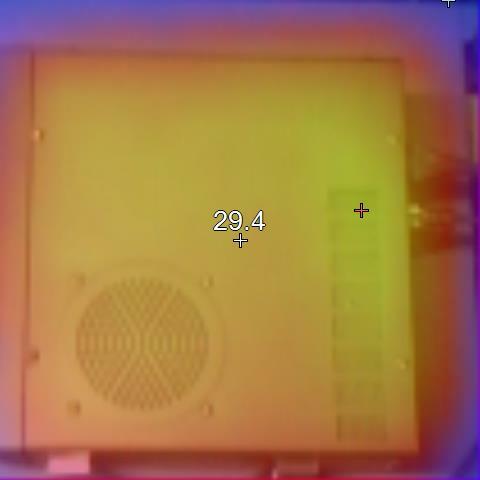 Above, the case temperature is up to 20° above ambient over the power transformer (upper right of pic). The power transformer is indeed a significant source of heat. In this case, temperature rise is almost 40° above ambient. The R5000 consumes 15W with the power switch OFF, much of which is due to core losses in the transformer. From a maintenance view, the operating temperature of the main filter capacitor is important. 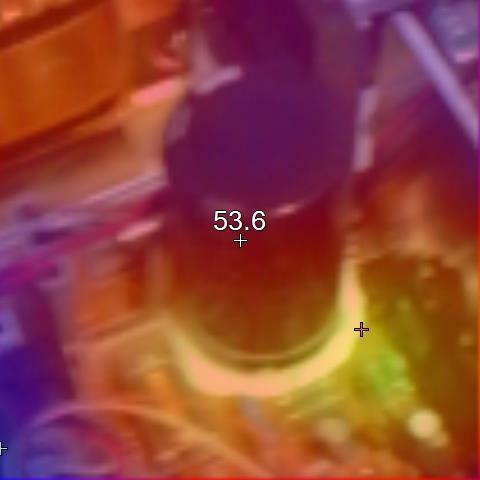 Here it is operating at about 36° above ambient, 54° in absolute terms. The capacitor is likely to be close to 80° on a hot day, so at the margins of good life, but this one looks healthy, no bulges in sight. 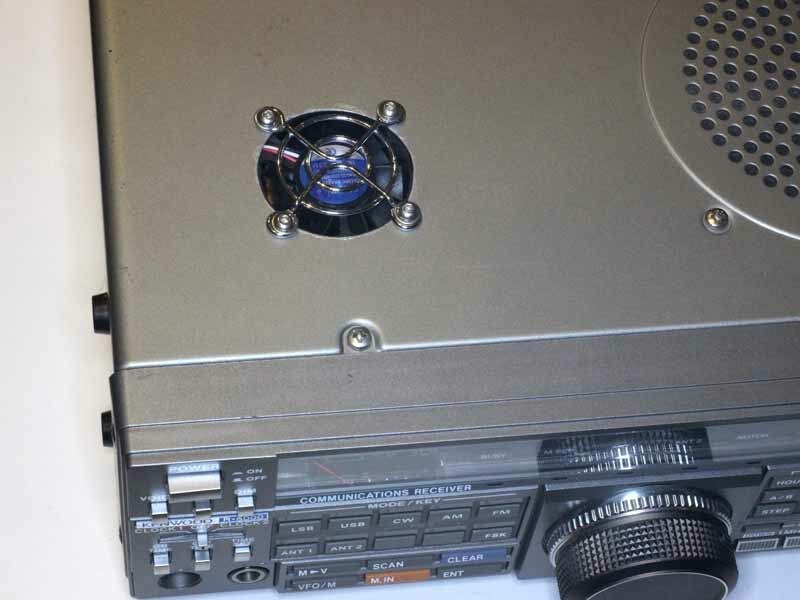 The R5000 is a very nice conventional communications receiver that sold widely not only to hams but to the professional markets. Sadly early production have a problem with the VCO adhesive and should be avoided. The backup battery is a pain to replace, but otherwise a receiver that works very well and is a pleasure to use, even if it runs a little hot. Concern for the high operating temperatures since adding the VC20, and cognizant of the fact that the PCBs in the scrap R5000 from which the VC20 was salvaged were all charred, I have decided to supplement the cooling. 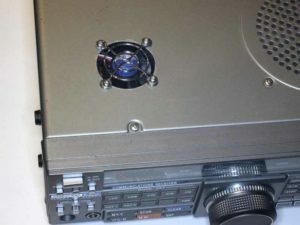 Above, a 40mm ceramic bearing fan was added in space above the power supply board. 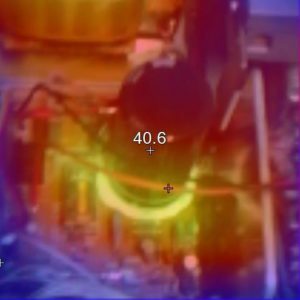 The power supply capacitor is now just 20° above ambient, a marked reduction. 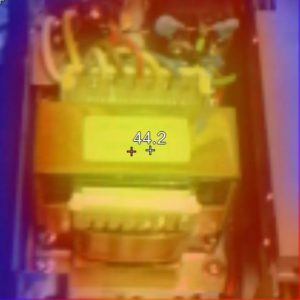 The transformer is 24° above ambient. 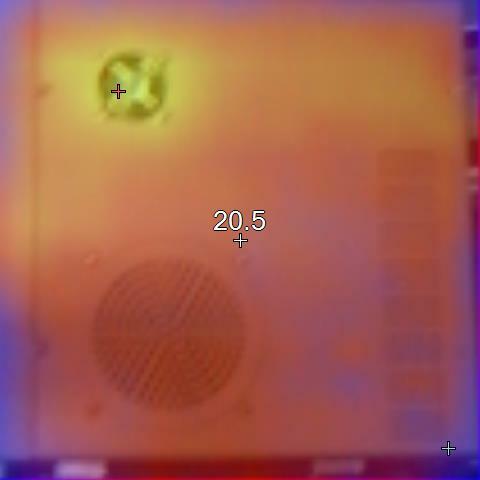 The hottest part of the case now is around the fan where the hot air is exhausted, in this pic it is actually 24°, 4° above ambient. The reduction in operating temperature should extend the R5000’s life, albeit at the expense of a little fan noise.